The Best Ski Resorts in Eastern U.S.
Eastern U.S. resorts offer skiers a unique experience from the rest of the United States and could probably be best described in one word - convenience. This is because many of the resorts are within a short drive of one another and also because many of them are close in proximity to the two major airports in New York and Boston. The East is also where you'll find some of the oldest mountain ranges in the United States, the Appalachian Mountains. Within the Appalachians you'll find the White Mountains, Green Mountains, Taconic Mountains, Berkshire Mountains, Catskill Mountains and many other smaller ranges unique in comparison to other ski resorts. 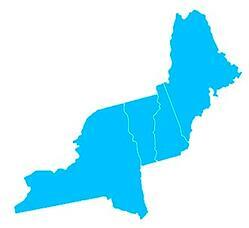 SkiSync currently travels skiers to the following Eastern U.S. states of Maine and Vermont. Get Access to Exclusive Deals on Eastern US Resorts, Gear & Lift Tickets!